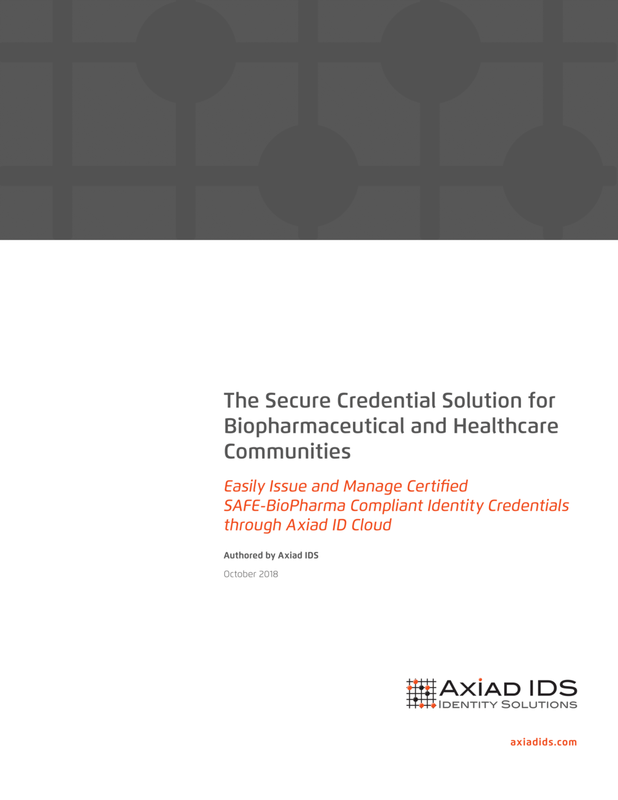 Certified SAFE-BioPharma Solutions — Axiad IDS, Inc.
Axiad ID Cloud makes it simple for biopharmaceutical and healthcare companies to manage SAFE-BioPharma compliant identity credentials to increase interoperability, compliance and lower risk. 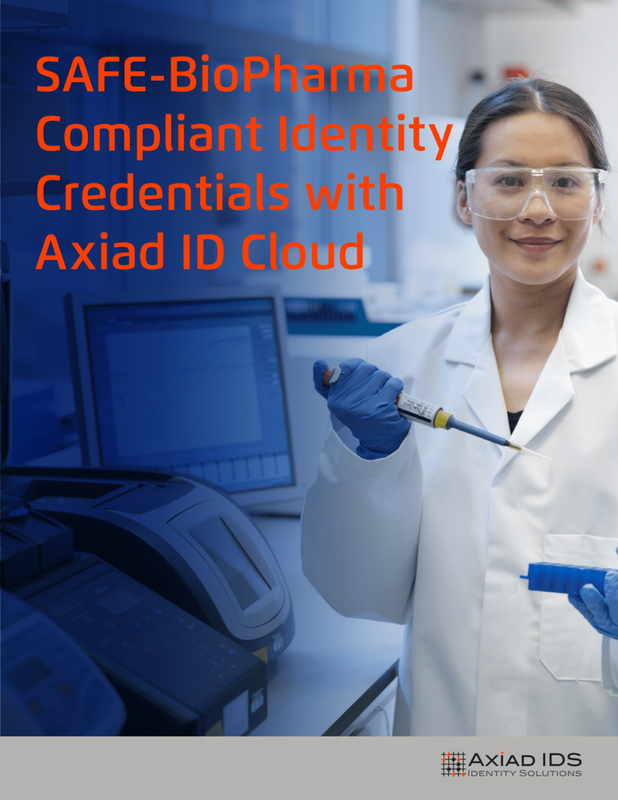 Axiad ID Cloud provides a frictionless user experience from the creation and issuance of secure SAFE-BioPharma credentials to the use and full lifecycle management of the credentials. Axiad IDS' multi-factor authentication and identity management services joined together with the SAFE-BioPharma standard, enable management of access to electronic medical records, clinical portals, and application of digital signatures to electronic documents, including those in the cloud. This can be easily implemented using interoperable cyber-identities issued through the Axiad ID Cloud. With Axiad ID Cloud, organizations can easily issue and manage smart cards and tokens with PKI certificates for authentication, signature and encryption - anytime, anywhere. What differentiates Axiad IDS' SAFE-BioPharma solution from other options? Axiad ID Cloud provides organizations with a frictionless user experience - - from the creation and issuance of secure SAFE-Biopharma credentials to the use and full lifecycle management of the credentials. Creation: Axiad IDS removes the complexity from the process; SAFE-BioPharma compliant credentials can now be created and authenticated in-house from a secure portal. Users no longer need to travel off-site and/or bother with a notary. Use: With Axiad IDS, SAFE-BioPharma certificates can be loaded directly onto a secure token, which enables its use on multiple machines. Lifecycle Management: With Axiad ID Cloud, SAFE-Biopharma certificates can be saved directly to user tokens - rather than computers - simplifying the issuance, updating and replacement of secure credentials. Transactions can be conducted from a single secure portal by the user reducing the dependency on the administrator. With Axiad ID Cloud, organizations can easily issue and manage smart cards and tokens with PKI certificates for authentication, signature and encryption - anytime, anywhere. The cybersecurity needs of the biopharmaceutical and healthcare industries are unique and complex. That’s why organizations are turning to Axiad ID Cloud, a cloud-based solution, that enables users to easily deploy, use, and manage smart cards and tokens with PKI certificates for authentication, signature, and encryption - any time, anywhere. SAFE-BioPharma - Assuring Trust in the Healthcare Ecosystem. SAFE-BioPharma Association, LCC today announced Axiad ID Cloud, a cloud-based trusted identity platform from its newest vendor partner, Axiad IDS, has been certified compliant with SAFE-BioPharma global identity and signature standard. SAFE is the only global standard for the healthcare community that enables trusted, secure, legally enforceable paperless business and clinical transactions.